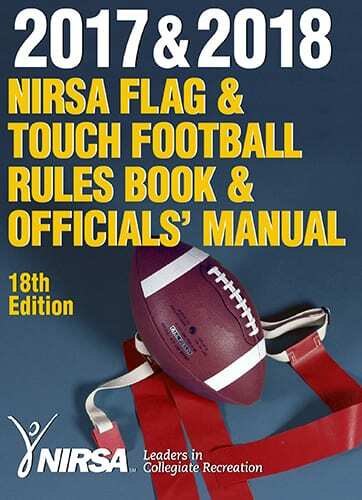 The NIRSA Flag & Touch Football Rules Book & Officials’ Manual was first published in 1983. Its purpose is to provide a standardized code of rules, interpretations and officials’ mechanics for the sport of flag and touch football. Are you interested in submitting a suggestion for a change to an existing rule or officiating mechanic? Do you have a question on the interpretation of an existing rule or officiating mechanic?